Daily Disposable – for both comfort and convenience these lenses are ideal. Worn as little or as often you want and thrown away after each wear so no solution or cleaning is required. Planned replacement – Either available in fortnightly or monthly disposable form. These lenses are an excellent value, soft lens ideal for the everyday contact lens wearer. They do require cleaning with solution at the end of each day. Extended Wear – These are lenses that can be left in the eye overnight or for extended periods. Only lenses approved for overnight use can be worn during sleep. Not everyone’s eyes are suitable, but we can advise you. 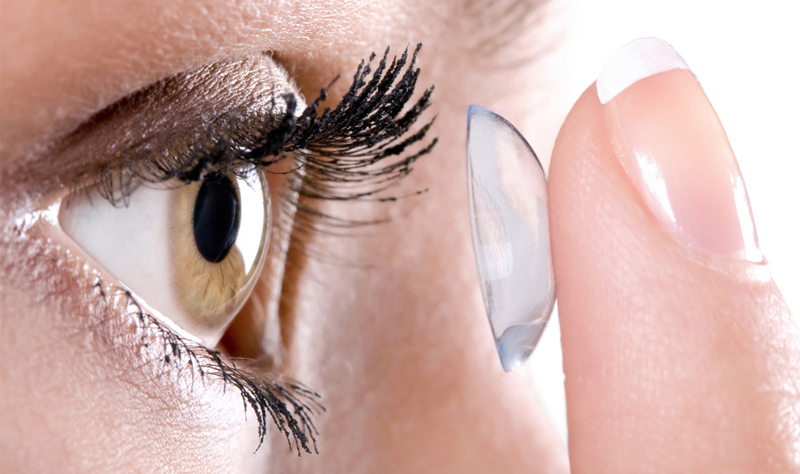 Sleeping in contact lenses also carries an increased risk of infection. Progressive (Multifocal) Lenses – offer the option of vision at all distances – Near, far or intermediate. Coloured (Cosmetic) Lenses – whether you fancy a new look or just want to create an impact. For Complicated prescriptions – non-disposable soft lenses or gas permeable lenses are available which can be tailor-made to the exact needs of the patient, often giving excellent results.